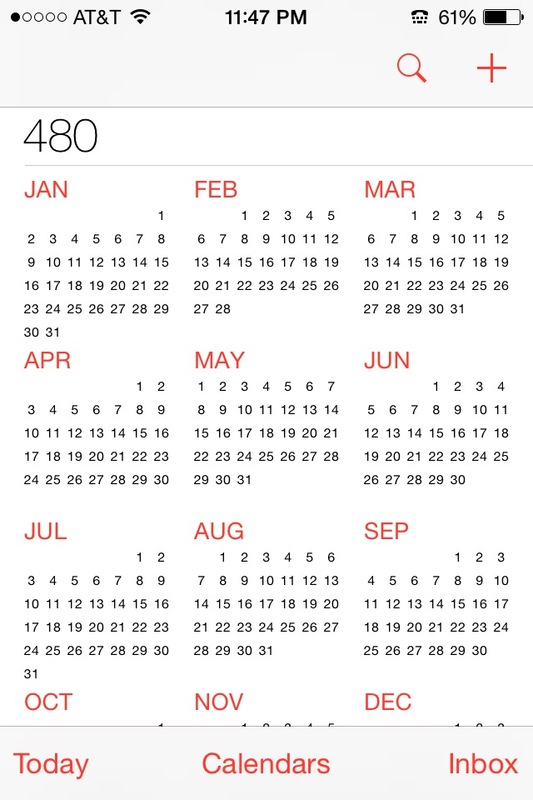 I almost never use the Calendar app on my iPhone, but the other day I needed to find out the day of a particular event earlier in the year when away from my laptop. So I went to “year view” and scrolled back, overshooting a full year or two. I then found myself wondering how far back the calendars went, and began scrolling … and scrolling … and scrolling … The years, and centuries, flew away into the past and then the distant past. Within seconds the nineteenth century had vanished forward, as it were, and then in no time so had the early modern years. I experienced an odd sense of vertigo watching entire eras of dense, rich human history zoom along, dissolving into their foundations, only to see those foundations dissolving in turn. In no time I was confronted with a calendar from the fourteenth century and, pausing there, experienced a slew of random, disconnected bits of knowledge — of polities and conflicts and kings, music and literature and art and language, social and cultural and religious developments — flooding my mind. How far back is this thing gonna go? I wondered. My guess was: the year 1, beginning of the Common Era. On and on my index finger caressed the aluminosilicate glass display, early medievalism disappearing decade by decade in the flash of an eye. I rested again, and suddenly realized that Rome had come back into being, as it were, a Christian Rome, besieged and tottering. And we were suddenly pre-Islam also. The Talmud was being compiled in Babylon. But I was too curious — back and back we went. Year 1 approached and then … raced on by. Finally tiring, I came to rest in 480 BCE, one of the traditional birth years given for the historical Buddha. The Jews had rebuilt the Temple by this point, Socrates was about to be born. Just now, remembering, I did a search for this question, only to find that everybody has a different answer. Several people report that theirs goes back only to 1900, another person’s to 4716 BCE, yet another’s to 9999 BCE (whew, glad I didn’t have to do that). As for the other direction, the answer seems to be 9999, although one person claimed to have reached 20,000 before getting tired. So maybe there’s a future after all. 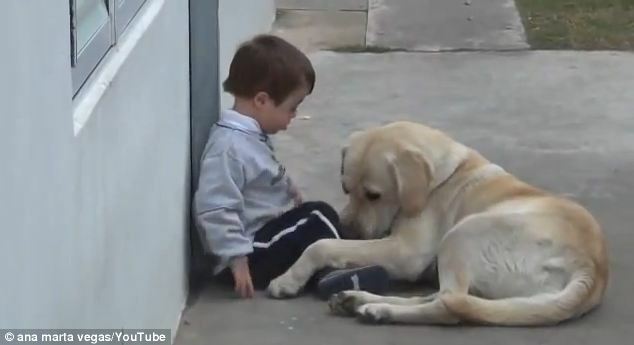 From Buenos Aires, a fascinating interaction between 3-year-old (with Down’s Syndrome) and yellow lab. 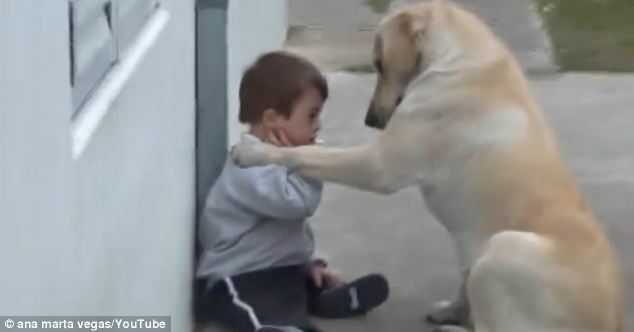 The dog clearly wants to play and won’t give up, but is also doing more than this. Her gentleness and sensitivity are something to see, and a beautiful display of that deep canine empathy. A week or so ago I returned to my car in the parking garage downtown to find a little yellow flower tucked in behind the windshield wipers. Startled, I glanced up the rows on each side to see if other cars had been recipients. None had, so my first assumption was that someone I knew had made the gift. But then I realized that currently almost no one would recognize my newishly-purchased car, either by exact model or certainly by license plate number, and the one person who might – namely my landlord, who lives upstairs – is not someone I can imagine doing a thing like that. So I’m left with a mystery. My car was parked that day at the end of a row, adjacent to the path along which people walk to get from one of the streets bordering the garage to the other. It makes sense then that someone picked the flower somewhere, maybe from just outside the entrance where there’s a little garden, then had the spontaneous idea to offer it to the first car they saw – which would’ve been mine. In any case, I was truly touched by the gesture, and all the more because it came from someone who didn’t know who I was. So much of the time we find ourselves interpreting events as gratuitous negative judgments upon us – well, or at least I do… Here suddenly, out of the blue, was a gift from the universe – precisely because neither giver nor receiver knew the other. There was something so free, irreducible, and pure about it. 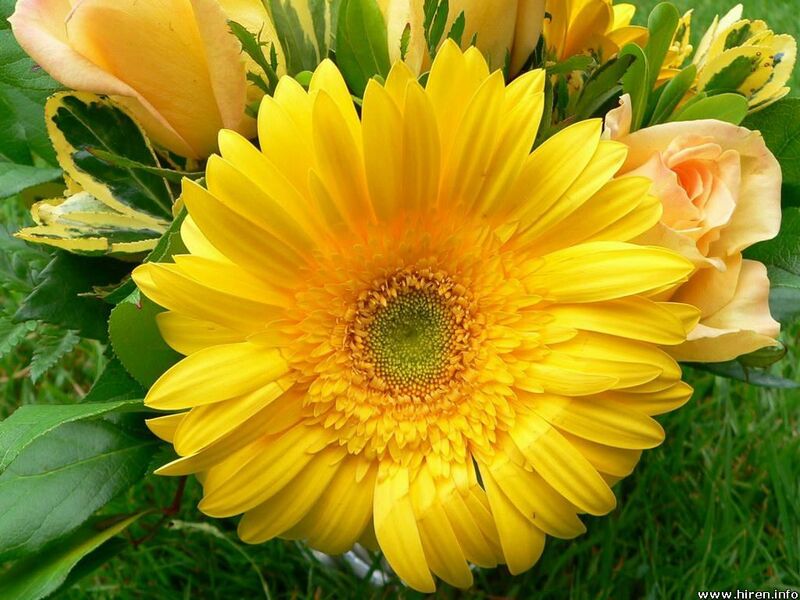 When I returned home I put the flower in a glass of water and set it on my desk, where it thrived for nearly a week. And every time it caught my eye it made me smile. I am in a kitchen, opening the fridge, searching for something to eat. Almost everything I see or open contains carrots and peas in some form or other. I give up for the time being, turn, and start walking out of the room. 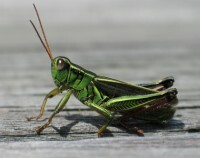 As I pass the sink I notice some kind of insect moving from the counter down into the sink and thence the drain, and then another. The third one however is blocked from doing so by a very fast-moving critter coming from nowhere, who catches up to the other and sort of taps it, whereupon it crumples. Peering more closely I see that the attacker is … a miniature moose! A moose the size of an insect. I wake up. Now, as soon as this little vignette ends I’m asking myself, of course: huh? And three sources quickly come to mind, all condensed into that single image. Secondly, I’d just written a post about David Lynch, including my favorite of his films and one of my favorite films of all, Mulholland Drive, which includes a scene – viewers will vividly remember – of an elderly couple suddenly miniaturizing and passing under the door of a room. 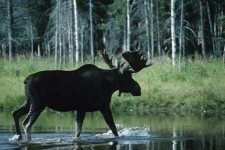 And thirdly, the moose is an animal one must watch out for on Vermont roads, as running into one is more-or-less like hitting another car head-on. That particular fear is lodged in my unconscious, for sure, and just a couple days ago in the neighborhood where I live a young deer suddenly appeared at the side of the road, about to cross, saw me, stopped, and scurried back into the woods. So, some neat condensation going on there, it seemed to me.